The choice is quite difficult. The trends change so rapidly that we often feel our kitchens are outdated. However, we should not be too worried. It is possible to make a trendy choice while respecting one’s values and taste. Be it a modern kitchen, classic or even contemporary, the choice of models of cabinet doors, and the chosen finish, can put a very personal touch to your kitchen. Lacquer offers a variety of choices in terms of color, as well as finishes. Since it can be used with a large variety of models of cabinet doors, it continues to show its great worth as to our clients’ choices. Besides the current color options available, it is also possible to match a color of your choosing or one that blends in with the ambiance and decor that adorns your home. So do not let the new trends hold you back from refreshing a space in your home. Come visit us and speak with one of our specialists who will be more than happy to explore the various possibilities available to you. Given that the shower is a place of daily use, it’s upkeep and maintenance seems to be most necessary yet at the same time the most difficult. Who hasn’t tried a thousand and one concoctions to make the shower doors shine? Some have even opted for shower curtains so that they could change them frequently. Well, here is the good news! 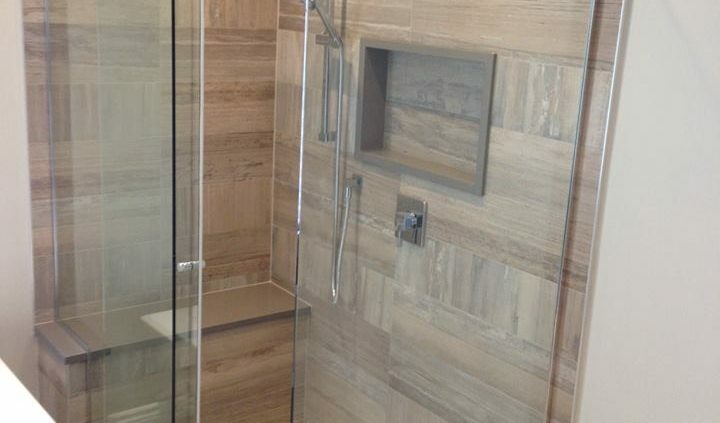 New shower doors that have a finishing treatment which allow your shower doors to remain clean and clear at all times. In addition to their effectiveness, these doors are available in several finishes, multiple colors, and they may even include a personal touch (photos, foliage, etc).